If you're looking for a camera that pushes boundaries and redefines how we take pictures, the Lumix G5 isn't it. 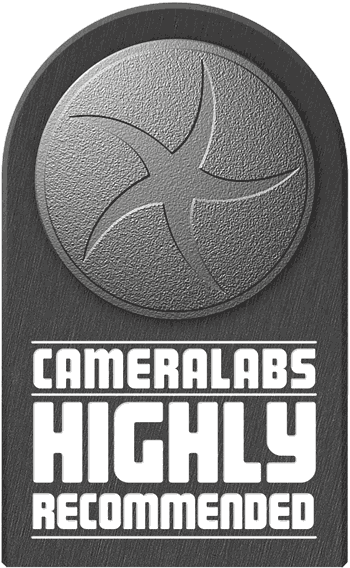 But for a rock solid implementation of core features combined with excellent handling at a great price it's hard to fault and more than worthy of Cameralabs' Highly recommended award. And lest we forget, as a Micro Four Thirds camera, the G5 enjoys access to by far the broadest selection of native lenses of any mirrorless format, which makes it even more tempting to enthusiasts and specialists. The Panasonic Lumix G5 is a 16 Megapixel mirrorless compact system camera based on the Micro Four Thirds standard which Panasonic co-developed with Olympus. Panasonic now refers to mirrorless system cameras as DSLMs, or Digital Single Lens Mirrorless, but we’re sticking with the term compact system cameras for now. 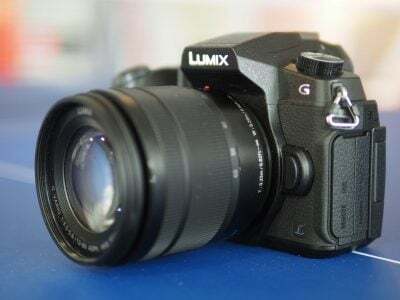 Announced in July 2012, the G5 is the successor to the Lumix G3, and in case you were wondering, there was no G4, Panasonic having skipped the number for tetraphobic reasons (it’s considered unlucky in some Asian countries). Like the G3 the new model features 16 Megapixels, athough this is a newly designed sensor with improved high ISO noise performance and, paired with a redesigned Venus Engine processor, delivers a maximum ISO sensitivity of 12800 ISO. The new sensor and processor also provide improvements in video, with a new 1080p50/60 mode. High speed burst shooting also gets a boost to 6fps at full resolution. 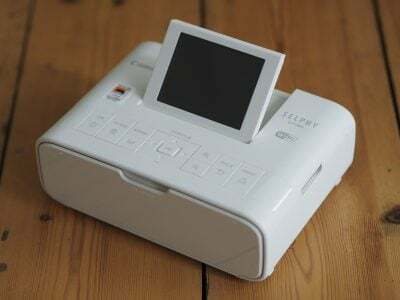 The fully-articulated touch-screen remains, but the resolution has been doubled to 920k pixels and you can now cleverly use the screen like a track pad to set the AF area while composing with the electronic viewfinder. There’s also an eye proximity sensor to switch the viewfinder on and off, along with a new rocker switch just behind the shutter which operates powered zooms, a selection of Creative Control filters and an electronic level. With these improvements the Lumix G5 cements value for money reputation that the G series has earned and puts it in contention with cameras costing a lot more. In my review I’ve compared it with the pricier Sony NEX-6. The NEX-6 offers the same 16 Megapixel resolution as the G5, but with a larger 3:2 proportioned APS-C sensor. Other refinements include a 2.3 million dot electronic viewfinder (but not a touch-screen), full HD movies at 1080p50/60, and fast 10fps full resolution continuous shooting. Like the Lumix G5 the NEX-6 also comes with the option of a small lightweight collapsible zoom. Possibly the most exciting thing about the NEX-6, though, is that you can extend its feature set by means of built-in Wifi and downloadable apps. But when all’s said and done the Lumix G5 provides a similar package to the NEX-6 albeit minus some of the bells and whistles. Does that make it a bargain that punches well beyond its weight? Read my full review to find out. With its moulded contours and hand grip, pronounced hump and centrally located viewfinder, the Lumix G5 resembles nothing more than a miniaturised DSLR. 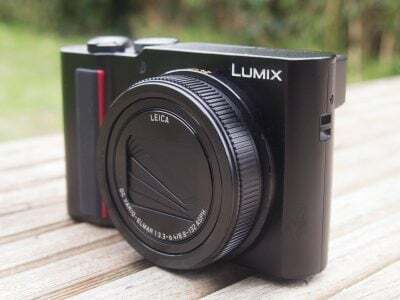 With the G3, the ‘World’s smallest and lightest system camera’, it was all about size, but with the G5 Panasonic has relaxed a little and it’s as if the G5 has let out a breath. The dimensions tell you the size of it – 120 x 83 x 71mm weighing 396g with the battery and card. The G3’s measurements of 115 x 84 x 47 and 382g exaggerate the situation a little as most of the G5’s additional depth is due to the bigger grip and the two weigh almost the same. On the top panel a slightly larger mode dial has the same eight positions as the earlier G3 with the PASM modes joined by two custom positions, SCN for scene modes and Creative control. As on all G series models and compacts intelligent Auto mode is activated via a dedicated illuminated button. In front of that is the movie record button, relocated from the rear panel of the G3 and forward of that is a new rocker switch which controls the motorised zoom if a PZ lens is fitted and can also be assigned to exposure compensation and aperture adjustment in Manual mode. The shutter release is positioned at the very front of the grip, a much more natural position as that’s where your index finger falls naturally and you don’t have to make an effort to extend it backwards as was the case with the G3. Generally, the G5 is a more comfortable camera to hold and operate than the G3. Round the back the thumb rest now has a more contoured ridge, providing a more stable grip and allowing more confident one-handed operation. From the mode dial leftward the top of the Lumix G5 looks identical to its predecessor. An ISO standard hotshoe is mounted atop the viewfinder hump with stereo microphones located forward of it. On the left side is a switch to pop the flash and next to it the small grille for the mono speaker. As before, there’s a small button on the rear panel just to left of the viewfinder which toggles the view between it and the LCD screen. That’s less important than it used to be thanks to the addition of a proximity sensor just below the viewfinder which automatically turns it on when you put your eye to it. The Q.Menu button is relocated to the right side of the viewfinder and alongside it there’s a new programmable AF/AE lock button that’s also labelled Fn1. The thumb-operated rear dial has been shifted rightward slightly to a new position on the rear right corner just outside the thumb rest. In Aperture and Shutter Priority, the dial naturally defaults to adjust the f-number and shutter speed respectively, but push it in and it’ll subsequently adjust the exposure compensation. Push it in again and it reverts to adjusting the f-number or shutter speed. Pushing the dial in full Manual switches between adjusting the shutter speed and aperture. In Program it can be used to shift the exposure, or again adjust the exposure compensation with a push. The playback button is relocated to the panel on the right side of the screen next to the DISP button for toggling screen and viewfinder overlays. The four way controller has been redesigned and is now a single silver coloured pad rather than the individual buttons on the G3, but the functions are the same, ISO sensitivity, White Balance, Drive mode and AF mode. Finally the delete/back button doubles up as a second programmable function button labelled Fn2. Moving onto the ports, a flap on the right side of the body opens to reveal remote control, mini HDMI and combined AV / USB jacks, but sadly no external microphone input; absent since the G2 to differentiate it from the higher-end Lumix GH series. In a compartment under the body you’ll find the battery and memory card slot. The larger grip means the G5 can accommodate the 1200mAh DMW-BLC12E battery used in the GH2 with Panasonic quoting 320 shots for a full charge. That’s an improvement on the 270 shots of the G3, but still well short of what you could have expected from the much earlier G2. Bear in mind also that these figures are quoted for the manual zoom H-FS014042 lens. While that’s useful for making comparisons with older models, with the PZ 14-42mm kit lens attached, you’ll see a significant drop in that figure. In terms of memory, the G3 is compatible with SD, SDHC and SDXC cards; Panasonic recommends using cards rated at Class 4 or higher when recording movies. As mentioned above, the Lumix G5 features a popup flash, which you need to manually open by flicking a switch on the side of the head; with the flash closed, it won’t popup on its own accord, which prevents any nasty surprises. The popup flash has a guide number of 8 at 100 ISO which is not as powerful as the built-in flash on an entry level DSLR like the Canon EOS T4i (GN 13), but with a little more punch than the built-in flash on the NEX-6 (GN6) or the accessory flash provided with the Olympus PEN models (GN 7). It effectively gives the G5 a range of 3 metres, or about 10 feet at 160 ISO with the aperture wide open at f3.5. The built-in flash has red eye reduction and slow sync modes, the fastest sync shutter speed is 1/160th and the G5 offers both first and second curtain sync. The G5 is also equipped with a hotshoe which can accommodate the optional FL220 / FL360 / FL500 with TTL auto metering; but note that like the NEX-6 there’s no built-in wireless flash control. The G5 shares the same 1.4 million dot electronic viewfinder as its predecessor. There will inevitably be some disappointment that the resolution hasn’t been increased on the new model, but, despite the fact that it trails the NEX-6, with its 2.4 million dot EVF, the G5’s viewfinder is still very good. In terms of resolution, 1.4 million dots has become more or less standard at this end of the market. You’ll find the same resolution on offer from the Olympus E-M5 and PEN VF-2 accessory EFV, the Fujifilm Finepix X100 and XS-1, and the Nikon V1 and V2. So it looks like the NEX-7 and NEX-6, along with Fujifilm’s XE-1 will continue to lead the way on EVF resolution for the time being at least. But it’s all too easy to get tunnel vision, when it comes to EVF’s resolution isn’t the only factor, size and brightness also play a big part. I’m happy to report that the G5’s viewfinder is both big and bright and in a side by side comparison with the NEX-6 the difference wasn’t as pronounced as you might think. The Lumix G5’s viewfinder looks brighter and a little bigger than the NEX-6’s though there’s no denying the Sony’s higher resolution does provide a more detailed view with a more stable image. When panning, the lower resolution of the G5’s EVF and its field sequential display does lead to shimmering and ‘tearing’ effects. Apparently some people are more prone to this than others and though it’s slightly distracting I didn’t find it massively off-putting. If you’re using the EVF for a protracted period though it could become quite tiring on your eyes. As I’ve mentioned, there’s an optical sensor below the viewfinder which automatically activates it and turns off the LCD when you put your eye to it. The G5 also retains the button on the left side of the viewfinder that allows you to do this manually. Clearly you don’t need both of these systems and you need to make a choice. If you decide to use the optical sensor, the button can be assigned to another function, alternatively if you stick with the button’s original function the optical sensor can be turned off. In practice, although there’s a very fractional delay when you put your eye to the viewfinder, I found it preferably to switching manually. You can turn the LCD screen off altogether and operate the camera with the viewfinder only, but unlike the Sony NEX-6 you can’t arrange things so that shooting information is displayed on the screen while the viewfinder is used for composing. While the EFV resolution is unchanged, the Lumix G5’s screen is updated and now has double the resolution of its predecessor with 920k dots. As before, it’s a touch screen, but Panasonic has extended its function to include something called ‘Touch Pad AF’ Essentially this allows you to position the AF area by dragging your finger on the LCD screen while using the viewfinder to compose. I’ll talk more about how that works in practice in the AF section near the end of the review. The screen itself is hinged at the side and so can be positioned facing in any direction including downwards for overhead shots and forwards for self-shooting, though, probably the two most often-used positions for this kind of screen are folded in for protection or reversed like a conventional fixed screen. The screen is 3:2 proportioned so when shooting 4:3 stills there are narrow bars down either side. On the right side of the screen this space is used for some touch icons which appear in a docking strip. All other information is displayed overlayed on the image though you can switch the configuration for both the EVF and LCD screen so the exposure details are displayed below a reduced image area. This makes it easier to see your settings, but harder to see what you’re shooting. The display button toggles between two overlays – with information and without, plus either of those options with a two-axis level. As I’ve mentioned, you can also turn the display off altogether. Additionally, there are two programmable screen function buttons labelled Fn4 and Fn5 which by default activate the level and a repositionable live histogram. Given that you can access the level this way, assigning two of the display overlays to it seems rather wasteful and I’m sure Panasonic could make much better use of it. The Lumix G5 is available as body only or in a kit with several lens choices. I tested it with the Lumix G X Vario PZ 14-42mm F3.5-5.6 ASPH. POWER O.I.S. This powered zoom, announced in August 2011, was the first zoom for a compact system camera that was itself compact, rather than a slightly smaller version of a DSLR kit zoom. While previously you needed to attach a pancake prime to a compact system camera body to make it pocketable, you now had the same degree of portability with a standard zoom. Aside from the micro four thirds metal mount, the lens is constructed from high quality plastic. In its collapsed power-off state it’s a mere 27mm thick, but switch the camera on and it extends to 49mm. Two rocker switches on the left side of the barrel control the zoom and manual focus. Unlike the single-speed control on the Sony E PZ 16-50mm, the zoom rocker offers two speeds and there’s a good couple of millimetres travel in each direction so, although it takes a little bit of use to get the feel of it, you can zoom at the slower speed without too much risk of accidentally speeding things up by pushing that little bit too far. The only criticism I’d make of the two-switch setup is that, despite the slightly larger size of the zoom rocker, it isn’t easy to distinguish the two by feel alone and, to begin with at least, I found myself occasionally trying to zoom with the focus control. Though there’s is of course a second option which is to use the new zoom control on the Lumix G5’s body. Located immediately behind the shutter release this also provides dual-speed control, though it’s a little harder to control than the switch on the lens. The 14-42mm range equates to 28-84mm in 35mm equivalent terms which takes you from a respectable wide angle to a portrait telephoto. The 14-42mm PZ lacks the 24mm equivalent super-wide angle view of the Sony E PZ 16-50mm, but as I discovered in my NEX-6 review, that camera has to do a lot of processing to deal with distortion at the extreme wide angle setting. If you compare RAW and in-camera JPEGs shot on the G5 with the 14-42mm PZ, it’s much more a case of what you see is what you get. As with the Sony E PZ 16-50mm though, with a maximum aperture of f5.6 at the telephoto end of the range, you’ll struggle to achieve sufficiently shallow depth of field to throw the background out of focus. For that, you’ll need to switch to a fast prime like the Leica DG Macro-Elmarit 45mm / F2.8 or the more affordable Olympus M.Zuiko Digital 45mm 1:1.8. And that illustrates the advantage of Micro Four Thirds over rival mirrorless systems: as the most mature mirrorless standard and with both Panasonic and Olympus producing lenses along with third parties, it boasts the broadest choice of optics. Not only are almost all popular focal lengths available, but there’s generally at least two options of each depending on speed, quality and budget. Like the NEX series, Panasonic doesn’t incorporate image stabilisation into its Micro Four Thirds bodies, preferring instead to provide optical stabilisation on lenses. The 14-42mm PZ features Panasonic’s Power O.I.S image stabilisation which it claims is twice as effective as its earlier Mega O.I.S stabilisation system. Although it’s lens-based, there’s no control on the lens to turn stabilisation on and off, instead, it’s controlled from the Rec tab of the main menu. There are three modes, Normal, Panning and Off. Normal compensates for vertical and horizontal camera movement, Panning for vertical movement only, but there’s no option to correct for horizontal movement only so that you can pan with the camera held in portrait orientation. To test the Lumix G5’s stabilisation I set it to Shutter Priority exposure mode, set the lens to its maximum 42mm telephoto zoom and took a series of shots at progressively slower shutter speeds with the stabilisation off and in Normal mode. Where there’s the option of a viewfinder I always use it for this test in order to minimise camera shake and provide the best possible chance for a steady shot. Using the viewfinder and with the stabiliation on, the G5 was able to produce sharp results at shutter speeds as slow as a fifth of a second – four stops slower than conventional suggests would be advisable at this focal length. The crop is a tiny bit soft, where the 1/10th crop was pin sharp, so I think it’s fair to say the PZ 14-42mm lens provides three to four stops of stabilisation. 100% crop, 14-42mm at 42mm 160 ISO 1/5th O.I.S. Off. 100% crop, 14-42mm at 42mm 160 ISO 1/5th O.I.S. On. In addition to the PASM modes, the Lumix G5 mode dial has two custom positions, SCN for scene modes and Creative control which provides access to an expanded range of art filters. The intelligent Auto and intelligent Auto plus modes are accessed via a dedicated button on the the top plate which remains illuminated while active. It’s easy to quickly skip over these modes on a camera aimed at enthusiasts, but they provide a foolproof mode for non-expert photographers as well being handy if you’re in another mode with obscure settings but spot a spontaneous photo opportunity. Intelligent Auto uses Scene detection to select one of seven appropriate scene modes and also uses face detection and face recognition to set the optimum focus and exposure. Pressing the thumb dial allows you to adjust background defocus with aperture settings displayed on screen as well as the more novice-friendly scale a ‘best of both worlds’ design which works for novices and experts alike. The G5 will also make suggestions if it thinks your shot might benefit from the use of one of the Creative control filters. Intelligent Auto also automatically activates three other image enhancement features that have been an option on the Panasonic range from compacts upwards for some time. Intelligent ISO is simply an enhancement of the Auto ISO setting which raises the ISO sensitivity when moving subjects are detected in the frame in order to set a sufficiently fast shutter speed to capture the action. I.resolution has four settings – High, Standard, Low, Extended and off – each of which applies varying degrees of sharpening to the image while suppressing the artefacts that often accompany this kind of processing. The G5 also features I.Dynamic, or Intelligent Dynamic Range control, which automatically adjusts the contrast when there’s a big difference between light and dark areas on the image. Again it’s applied automatically in iA, but off by default in the PASM modes, where you can choose between Off, Low, Standard and High. The Lumix G5 introduces a new HDR mode which shoots a fast sequence of three images and from them saves a single composite with a wider tonal range. It’s a no frills feature – you can’t change the number of exposures or the EV range, but HDR can be selected in any of the PASM modes, so you still have some control over exposure. Below is a comparison of the same scene shot in Program Auto mode at 160 ISO with, on the left a single exposure and, on the right, HDR mode enabled. The HDR shot on the right shows a lot more detail in the shadows tonal range most clearly visible in the door on the right of the shot, the highlights in the windows on the left also show improved detail. This is backed up in the histograms below each image with the HDR histogram on the right well within the bounds of the x-axis at the highlight end and showing very much improved shadow detail. For those who want the option to process HDR shots outside the camera, the G5 provides one of the best auto bracketing features you’ll find, bettering even that offered by many budget DSLRs. You can shoot automatically shoot up to seven frames up to a stop apart in 1/3EV increments. Exposure compensation is available in a similarly broad range of +/-5EV. It certainly outdoes the Sony NEX-6 which offers 3 frame auto bracketing in increments up to +/-3EV, or +/-5EV with the optional $4.99 Bracket Pro app. The range of Creative Control filters has been expanded with the addition of new effects including Soft Focus, Dynamic Monochrome, Impressive Art, One point Colour, Cross Process, Low Key, and Star Filter. All of them provide a degree of customisation, whether it’s changing the effect colour, the filter strength, degree of vignette or, in the case of Dynamic Monochrome, contrast. Additionally you can use the background defocus and set exposure compensation. If I was to make one criticism of Creative Control it would be that despite its having a position on the mode dial and touch screen controls it absurdly difficult to change filters. The icon at the top left of the screen which displays the currently selected filter isn’t touch sensitive so you have to go via the main menu. Finally, the G5 has a new Electronic Shutter option. This doesn’t enable faster continuous shooting or provide any other performance enhancements, but merely disables the mechanical shutter to enable silent shooting for those situations where the shutter noise would be distracting such as in museums, concerts and so on. Like the G3 before it, the G5 can capture Full HD video with continuous autofocus and stereo audio recorded from built-in mics (complete with level meters and level adjustment if you like). But where the G3 was limited to 1080i, the G5 now offers 1080p50 or 1080p60 depending on region. That puts it on a par with the GH2, though it still lacks an external microphone input and the ability to output a clean signal over the HDMI port while filming. It also lacks the GH2’s manual exposure controls and the choice of adjustable frame rates. So the G5 is in no danger of encroaching on the flagship model’s position among pro and advanced amateur movie makers, particularly as the new GH3 further widens the gap with timecode support, higher bit rates and a choice of compression options in addition to other pro features like weather sealing. The other major change in the Lumix G5 video specifications is a move away from the older motion JPEG codec to the more recent and efficient H.264 for the lower resolution movie formats. As before full HD video is encoded using AVCHD. Choosing AVCD provides the option of four quality modes; 1080p50 at 28Mbps, 1080i50 at 17Mbps, 1080p25 at 17Mbps and 720p50 at 17Mbps. Switch to MP4 recording and three further options are available, all at 25fps; 1080p at 20Mbps at 10Mbps, 720p and 640×480 (VGA) at 4Mbps. In NTSC regions the 25 and 50fps rates become 30 and 60 fps respectively. You can start recording video in any shooting mode by simply pressing the dedicated record button next to the right of the viewfinder, and the G5 can also capture still photos while recording without interrupting the video, albeit only at the video resolution. Alternatively You can set the camera to capture full resolution 16:9 stills while filming, but doing so will briefly interrupt the audio and the still is recorded in the video footage. There’s no manual control over exposure for movies though, nor the ability to adjust the exposure once you’ve started recording. In these respects it falls behind the Sony NEX-6 or Panasonic’s flagship GH3. The only caveat for maximum recording times as always concerns cameras destined for the European market, which for tax regulations are limited to 29 minutes and 59 seconds. For this and the other examples here, the Lumix G5 was set to its best quality 28Mbps 1080p50 video mode. Stabilisation was enabled for this handheld panning shot and does a good job of ironing out all but the worst wobbles. I used the lens mounted zoom control here, set to the default medium speed, there’s also a slow and fast option. For this tripod mounted panning shot the stabilisation was disabled. The G5’s continuous AF wanders a little during the zoom, but other than that there are no real problems. There’s no audible noise from either the zoom or AF motors. There’s a little bit of noise visible in the indoor low light panning shot from the Lumix G5, but otherwise the quality looks very good. The built-in microphones do a good job with the background noise and the exposure control and auto white balance cope well with the changing conditions. To demonstrate the Lumix G5’s touch AF in action I zoomed in a little and focusd on the coffee cup befor starting recording. Then I alternately tapped the screen in the region of the bar and the coffee cup to shift the focus back and forth. Each time the G5 responded positively, swiftly and smoothly. With some touch focus systems you have to tap the screen more than once, trying slightly different areas, but not here. With the exception of Soft Focus and Star Filter, the Creative control filters can all be used for movie shooting. Miniature Effect shown here records without audio and plays back at 8x speed. The extended front grip and relocated rear dial between them make the G5 a much more comfortable camera to hold and use than its predecessor. Add in the new zoom rocker and custom buttons and the overall effect is greater than the sum of its parts; there’s was nothing wrong with the G3’s handling, but the G5 greatly improves on it. One of the big problems I find with dual-speed zooms is that during movie shooting they can be difficult to control at the slower speed; it’s all too easy to nudge the control a little too far and speed up unintentionally. The G5’s dual-speed zoom defaults to single speed operation in video mode and also allows you to set the speed to high medium or low independently for both stills and video shooting. The set speed works for either of the two zoom controls and, as I mentioned earlier, the new zoom rocker just to the rear of the shutter release means you can operate the camera one-handed. On the other hand, if you’re happy to use the zoom control on the lens or, with a manual zoom lens fitted, the rocker can be put into service as an additional exposure control. In manual exposure more it changes the aperture with the rear dial used for shutter speed and in all other modes it’s used for exposure compensation. Along with Canon’s Func.Set menu, Panasonic’s Quick menu is one of the the best designed Quick menu systems around. Press the Q.menu button and an overlay provides instant access to frequently used functions. The problem is that the Quick Menu has grown and its default contents, which, photo style, flash, movie settings, picture size and quality, focus mode, AF mode, metering mode, exposure compensation, sensitivity and white balance no longer fit on a single screen and can require a fair bit of button pressing (or screen tapping) to get to. The G5 provides a solution to this problem by allowing customisation of the Q.menu. In addition to the default items you can add Quick Menu items to a total of fifteen across three screens – five on each. Perhaps more importantly you can re-arrange the quick menu items, so there’s no need to scroll past photo style, flash, movie settings, picture size and quality if you rarely alter them, just to get to the Focus mode and area settings, you can put them right at the front. Among other things you can add HDR, I.Resolution, I.Dynamic, Drive mode, auto bracket and yes, even stabilisation to the Q.menu. The Lumix G5 has three physical programmable function buttons. The AF/AE Lock button doubles as Fn1, the delete/back button doubles as Fn2 and the LVF/LCD toggle doubles as Fn3. As the delete/back button is only used in playback mode or when navigating menus, it’s readily available in shooting modes, but if you want to assign the other two you obviously sacrifice their original function. This isn’t too much of an issue with the screen toggle as the eye sensor renders it largely redundant. As with the earlier G3, the G5 provides two positions on the mode dial C1 and C2 which between them access for previously saved custom setups, one on C1 and three on C2. Everything I’ve mentioned thus far is accessed via the G5’s physical buttons, but the touch screen adds a further dimension the the G5’s handling characteristics. Panasonic’s approach with the touch screen is to use it as an extension to the camera’s physical controls rather than to replace them, and it’s sometimes easy to forget that the screen can be used to do many things that you’re used to doing using the camera’s physical controls, including focussing and shooting, zooming the lens and navigating menus. As I’ve already mentioned, there are two screen function buttons which, like the physical buttons, are programmable. In the default mode they toggle the new electronic level gauge and the live histogram, but can be assigned to the same range of functions as the physical function buttons. Between the fixed functions on the four-way controller, the customisable Quick menu, the physical and touch function buttons and the custom positions on the mode dial the Lumix G5 provides a huge and versatile array of custom options. The Lumix G5 appears to inherit the contrast detect AF system of its predecessor. Panasonic’s contrast detect AF is widely regarded as one of the fastest systems around; one of the reasons for is swiftness is that Panasonic doubles the output of the sensor to 120fps, whatever the technical whys and wherefores, the result is a system which locks focus in barely no time at all – you press the shutter and the AF responds almost immediately. Compared with the NEX-6 it gets there a fraction earlier every time and performs better in low light too. Like its predecessor, the G5 is also packed with a broad selection of AF modes and options: you can choose from Pinpoint mode along with Single area, 23-area, AF Tracking and Face Detection. These integrate beautifully with the touch-screen, simply tap the area you’d like the camera to focus on, or the face which should have priority, or touch the subject you’d like to track. The pinpoint mode, introduced on the G3, is a highlight, temporarily magnifying the image by 5 times for a really close conformation, while also letting you swipe the enlarged target area around with your finger until you settle on the desired part of the subject. You can also opt for Manual focusing assistance with either a small window in the middle showing an enlarged view at 4x, or a full-screen view at 5x or 10x. The variety of AF modes, coupled with their touch-controls work really well, and give the G5 a big advantage in flexibility and ease of adjustment. The G5 also adds one new trick to its array of touch focus tools. The Touch Pad feature allows you to use the LCD screen to locate the AF area while using the EVF to compose your shot. Counter-intuitive as it sounds, it actually works, up to a point. Moving your finger accurately around the screen while your face is pressed to the rear of the camera isn’t as awkward as it sounds, in fact it isn’t awkward at all and accurate position is no problem either as, once you see the AF area appear in the EVF is all a question of relative movement with your finger on the LCD screen. When it works, the Touch Pad features work well. The only issue I had with it was its constant determination to mistakenly interpret my nose pressing against the screen as a desire to set the AF area to the top right corner. This might be less of a problem for those who use their right eye, and with practice it’s probably something you could avoid happening, or work around. Of course you can eliminate this problem by simply flipping the screen out to the side. While the single AF performance of the G5 is impressively quick and also accurate in low light, it’s important to note it, like all Micro Four Thirds cameras to date from Panasonic and Olympus, remains a 100% contrast-based system. Meanwhile Sony, Canon, Nikon and other mirrorless rivals have adopted a hybrid AF system for their latest models which complements contrast-based AF with phase-detect AF points on the sensor. Now in our tests these phase-detect AF points don’t necessarily make these cameras faster at focusing, but they can make them more confident with less searching or hunting back and forth. This may not be a big issue for single AF acquisition, but can help with continuous AF tracking for both stills and movies. In my tests the G5 may have focused faster than the NEX 6 for single AF acquisitions and was more accurate in low light, but the Sony generally tracked better in continuous situations and avoided visually distracting hunting in movies. It’ll be interesting to see if Panasonic or Olympus implement hybrid AF systems on future Micro Four Thirds bodies, or even if it’s technically possible on their standard. The Panasonic Lumix G5 offers four full resolution continuous shooting speeds: Low speed shoots at 2fps, Middle speed at 3.7fps and High speed at 6fps – an improvement on the 4fps top speed of its predecessor. The Super high speed mode uses the electronic shutter to attain a speed of 20fps; but where the G3 dropped to 4 Megapixel resolution for this mode, the G5 maintains 16 Megapixel full resolution. The G5 can shoot in Super high speed mode with continuous autofocus, but the frame rate drops well below the maximum when you do this, so you might just as well be using the Middle speed. To test the G5’s continuous shooting I fitted it with a freshly formatted 16GB Sandisk Extreme Pro UHS-1 card and set it to the 6fps Hi speed continuous shooting drive mode with image quality set to full resolution fine JPEGs. The G5 fired a burst of sixteen shots before slowing slightly and becoming a little erratic for a few frames then settling at a little over 2fps. I timed the initial sixteen frame burst at 6.6fps – slightly faster than the quoted 6fps. Next I set the G5 to RAW mode and repeated the test. This time the G5 fired a burst of 9 frames before pausing for what seemed like forever but was in reality just under 4 seconds, then continued at slower than one frame per second. I timed the initial 9 frame burst at 6.92 frames per second, again, faster that the quoted 6fps. The time taken to write the contents of the buffer to the card was 8.6 seconds for JPEGs and 19.5 seconds for RAW files. You can fire off another burst while the buffer is still writing. This works well with jpegs – you can get another long 6fps burst after just a few seconds wait, but RAW is less successfully with the camera only able to shoot very slow sub 1fps ‘bursts’ until the buffer is cleared. Switching the UHS-1 card for a speed class 10 Sandisk Extreme card extended the write times to 11.3 seconds for JPEGs and 24.6 seconds for RAW files, so it’s worth spending a little extra on the faster UHS-1 cards if you do a lot of fast action continuous shooting. The Lumix G5 features a new 16.1 Megapixel CMOS sensor with a redesigned Venus engine processor which in addition to providing 1080p HD video and 6fps continuous shooting, according to Panasonic produces better image quality and lower noise than its predecessor. The highest senstitivity setting is boosted from 6400 to 12800 ISO with the base sensitivity remaining at 160 ISO. Files are saved as JPEGs at one of two sensitivity setting and the G5 can also save RAW files in Panasonic’s RW2 format. Best quality JPEG compressed files are typically around 6-8MB in size. The shutter speed range is 1/4000 to 60s plus bulb which has a limit of 120 seconds. To see how the quality of the Panasonic Lumix G5 measures-up in practice, take a look at my Panasonic Lumix G5 quality and Panasonic Lumix G5 noise results pages, browse my Panasonic Lumix G5 sample images, or skip to the chase and head straight for my verdict.